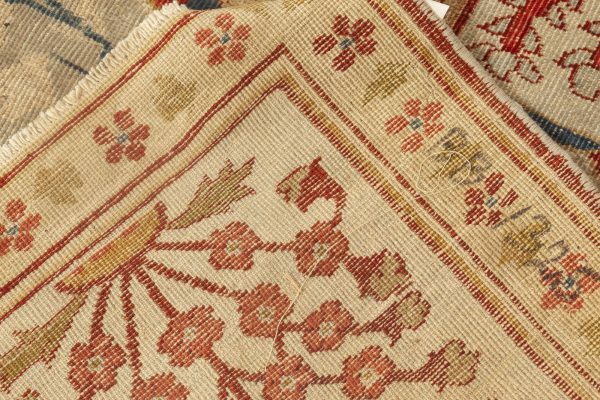 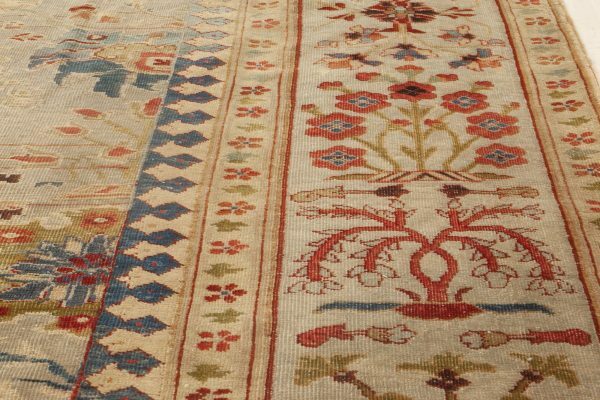 Widely sought-after by collectors and aficionados around the world, Sultanabad rugs share with other Persian rugs all-over patterns of palmettes and vine scrolls, but, as they use a larger and suppler weave, their designs tend to be bigger as well. 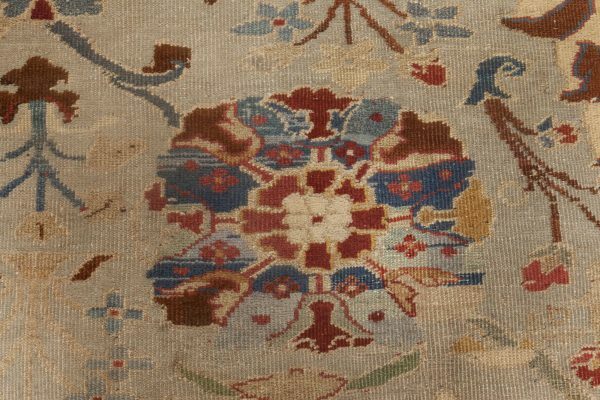 The antique Persian Sultanabad rug before your eyes is a marvelous example of its country’s meticulous craft. Its main field, covered in bold palmettes, vase and floral motifs interconnected by vines, is enclosed within a series of borders kept in the same spirit. 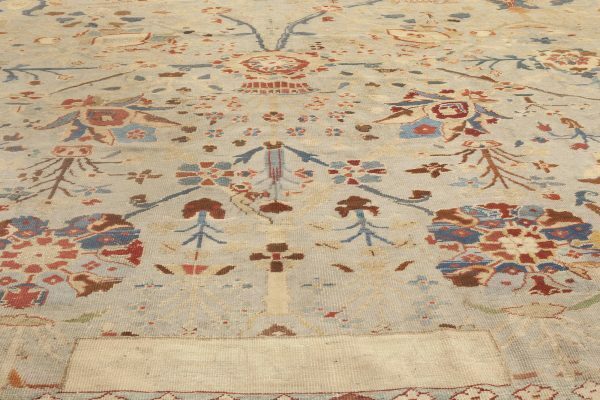 The main border carries multiple Trees of Life which in the Orient are a symbol of eternity, while the secondary borders boast delicate millefleur. 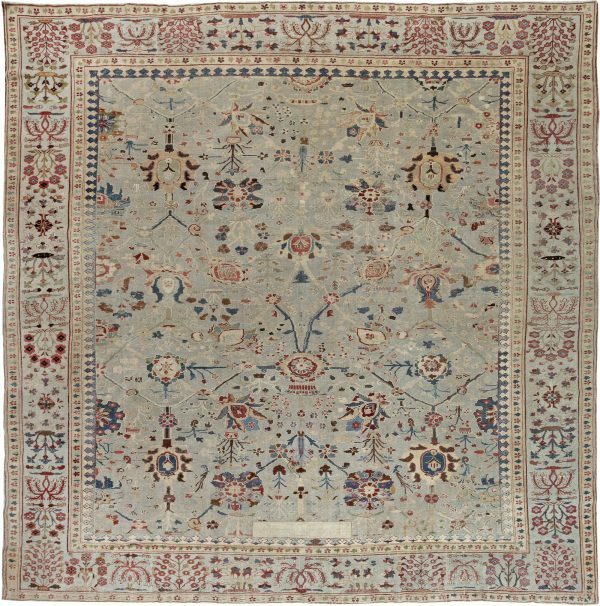 Everything is rendered in a particularly fashionable shade of dusty blue supported by beige and light green, and finished with invigorating touches of carmine, navy and brown. 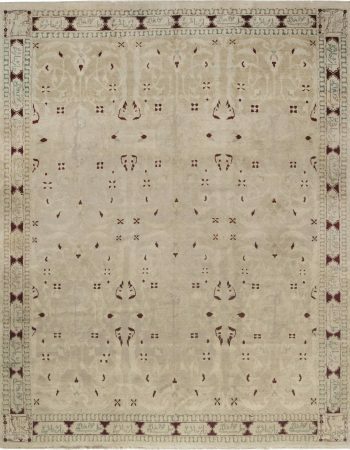 The soothing color palette of this Persian rug is strongly in line with current trends promoting relaxation and detachment from the hustle and bustle of the modern world. 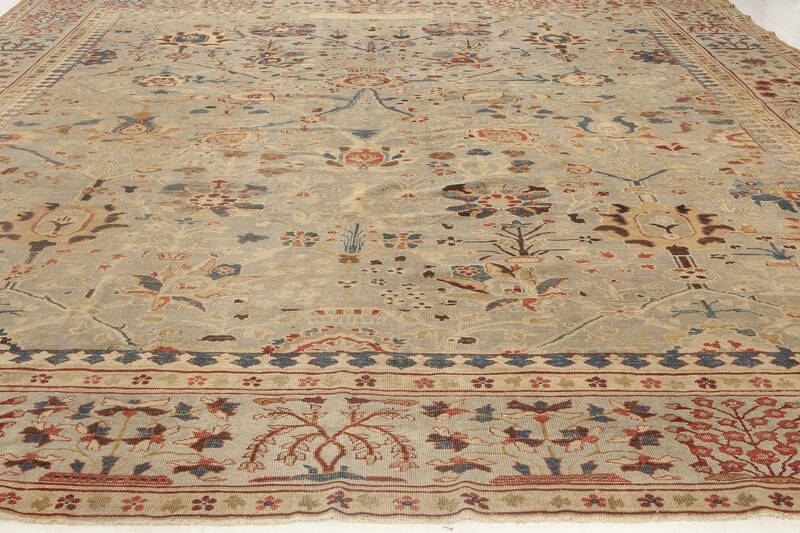 Moreover, such a composition will seamlessly match a wide variety of décors, from classic to contemporary. 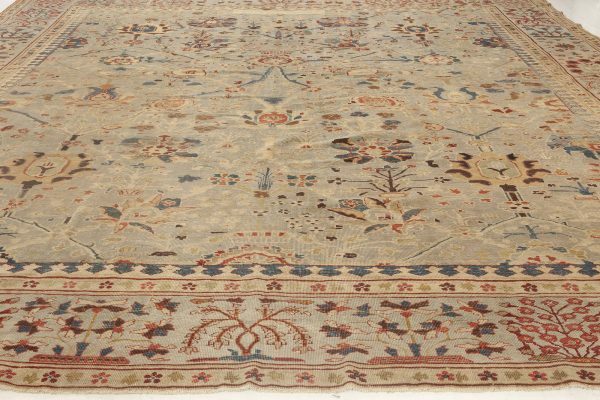 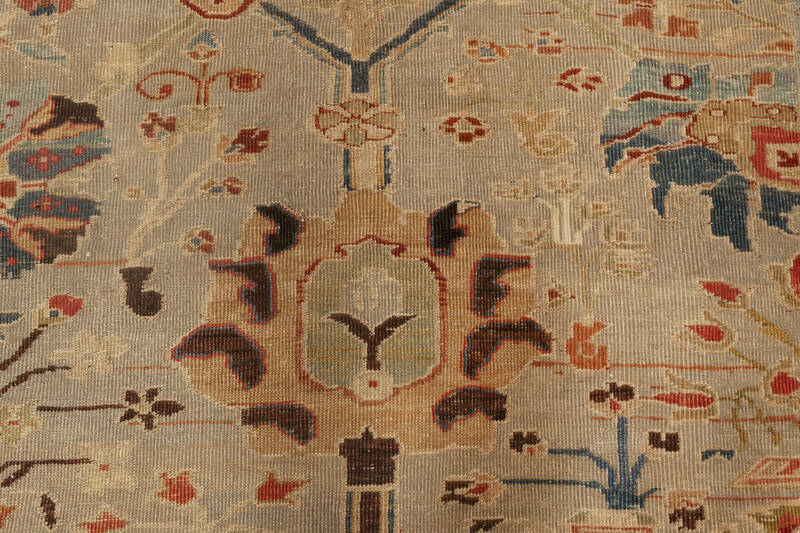 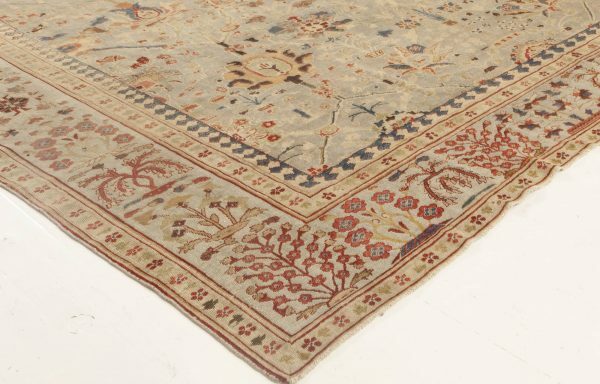 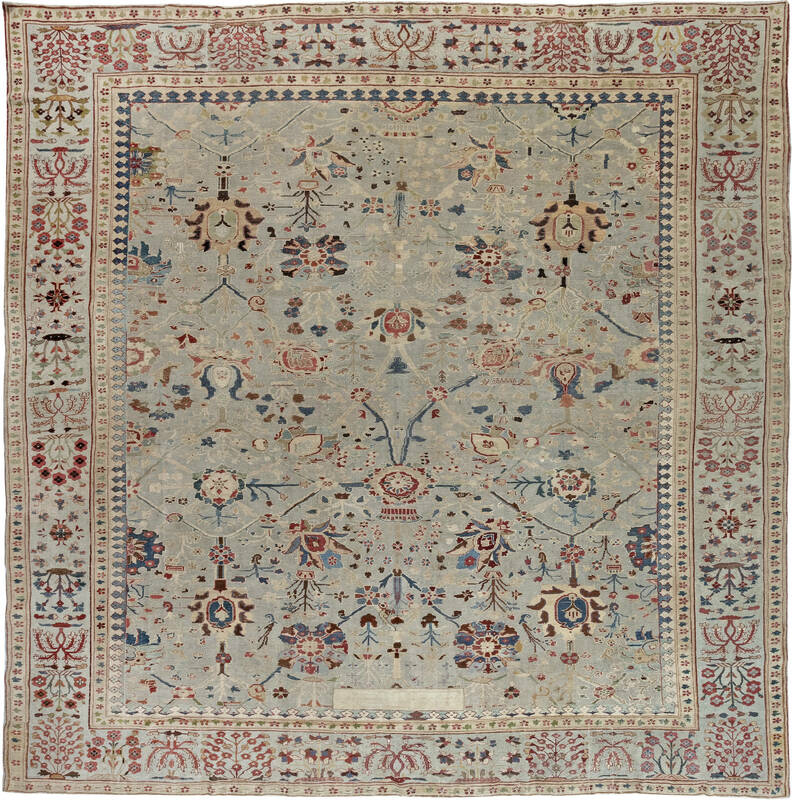 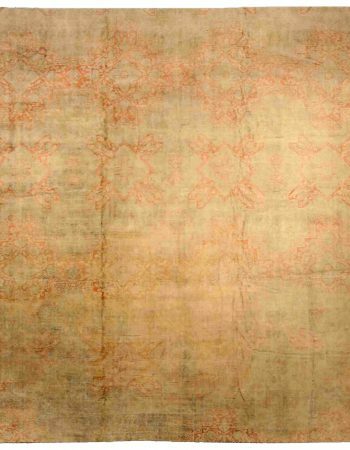 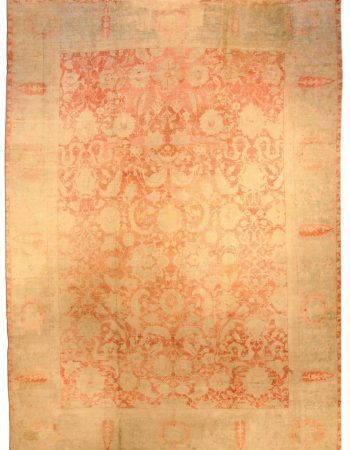 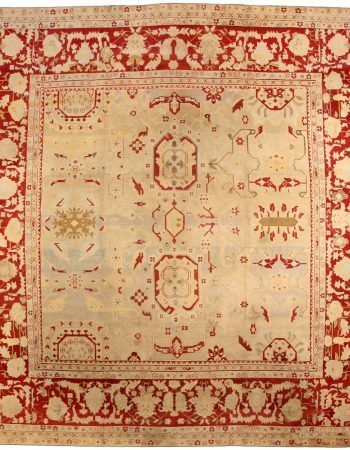 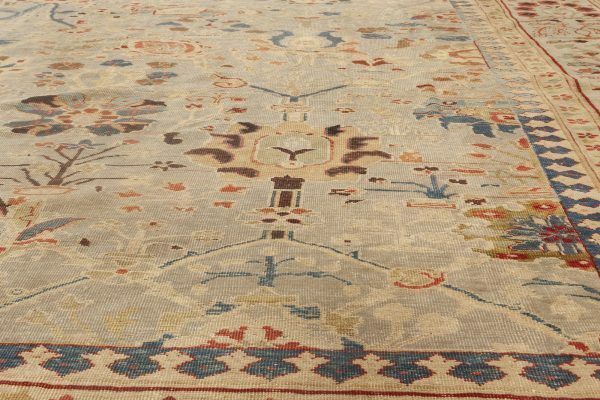 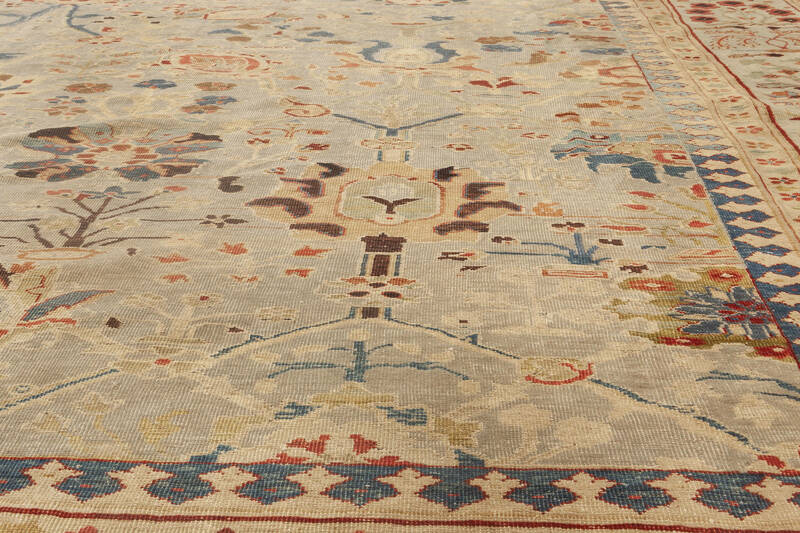 As befits antique rugs from Persia, this one distinguishes itself with excellent quality. 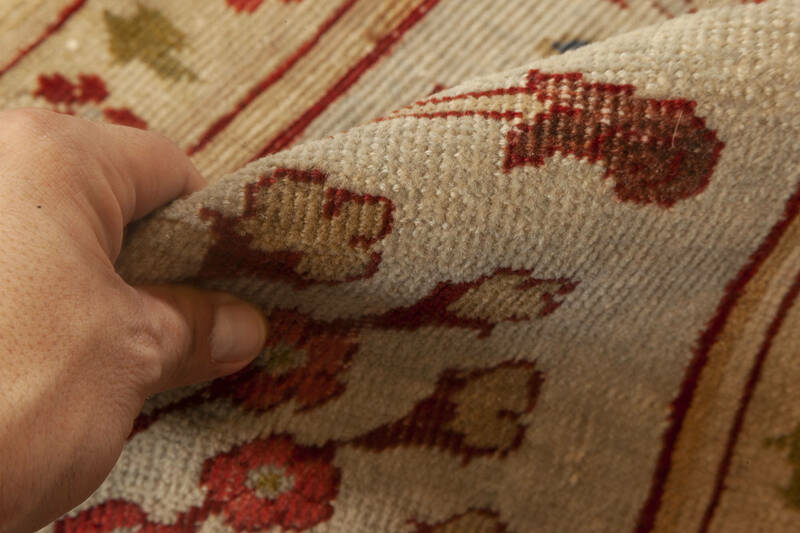 Thoroughly hand-knotted of the finest wool, the Sultanabad rug has survived over one hundred years looking as if it just came down from the looms. 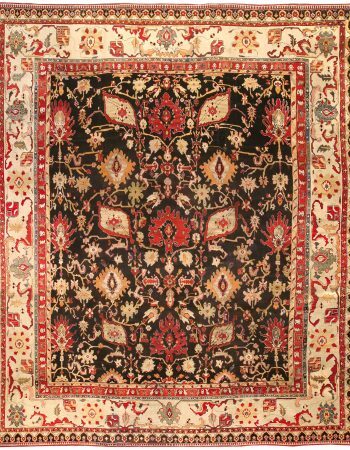 Under the condition of proper maintenance, it will surely serve its owners for generation without any signs of wear, bringing in tranquility and the recherché charm of Oriental artistry.